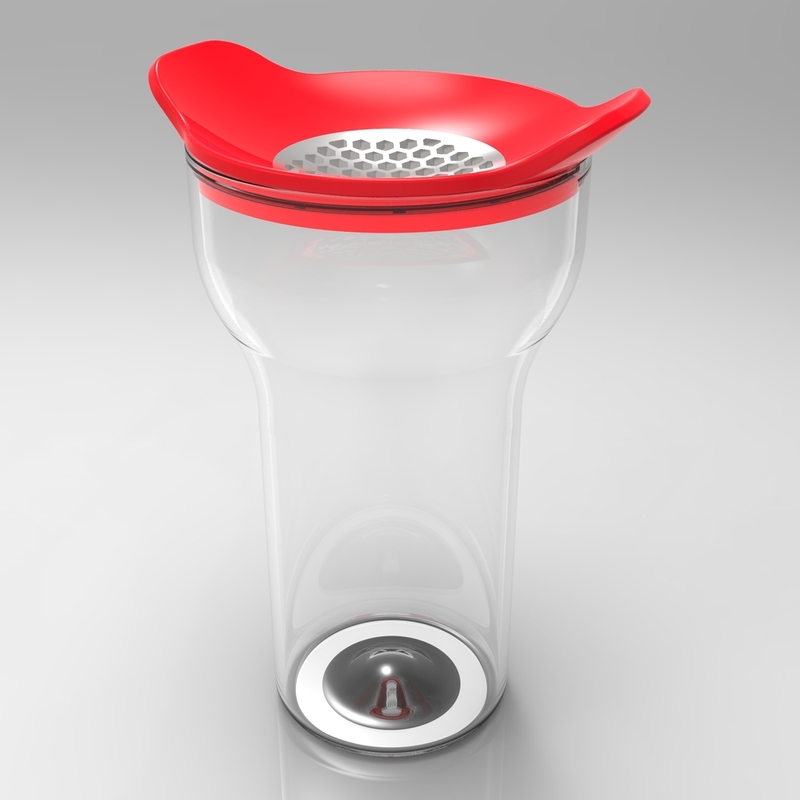 Red Devil aims to provide an all-in-one solution for preparing garlic, from raw unpeeled to minced. It peels garlic through shaking, the body is clear so you can see when all the garlic gloves are peeled. The cap is a cup with a stainless steel mincer portion in the middle, it is shaped so it can rock and mince the garlic. The materials (Stainless steel and BPA-free food safe plastic) will be easy to clean and aid in getting rid of the odor. The cupped shape of the cap will make it easy to spoon off the minced garlic, we never even have to touch the peeled garlic. Inspired by the "How To Peel a Head of Garlic in Less Than 10 Seconds" video, Joseph and Joseph Garlic Rocker and Quirky's Shuck.